The AutoCAD 2016 and design training courses that CCW offer focus on practical skills that all industry professional need in order to develop as designers and planners. Both of these courses are focused around practical skills and industry short cuts. Tutors of this course are industry professionals with many years of experience in their respective fields. Depending on your requirements for the course, we can bespoke the course to your needs. our focus is on practical skills that lead to functional design and efficiency. AutoCad is a computer aided design tool used to create 2 and 3 dimensional drawing for technical, design and planning purposes. This course focuses on building practical expertise and industry short cuts to improve productivity. 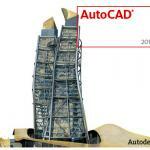 This course is great for those just starting out with AutoCAD. It takes you from the very beginning of creating a drawing to altering objects. This course has been designed for those with no experience using AutoCAD or for anyone looking for a refresher. Our intermediate course follows on from the teachings in the beginner course and takes you to an advanced level. You will learn different utility commands and advanced layouts. This AutoCAD 2016 and design training course is for anyone who is experienced in using AutoCAD. This is the amalgamation of the beginner and the intermediate AutoCAD courses but with a day of 3D AutoCAD thrown in as well. This is a fantastic AutoCAD 2016 and design training course for anyone who hasn’t used AutoCAD before and wants to get to an advanced level. It takes you from the very beginning of creating a simple drawing to being able to use AutoCAD 3D. In addition to our off-the-shelf course, we also deliver a bespoke training course is AutoCAD. The content for this course will vary greatly depending on your needs but can be altered to cover 2D AutoCAD, 3D AutoCAD, Architectural design, and Product design.